Writer’s Digest published an interview with Cassandra Clare right before Christmas and since it’s a really great and insightful interview, I wanted to share it with our readers. 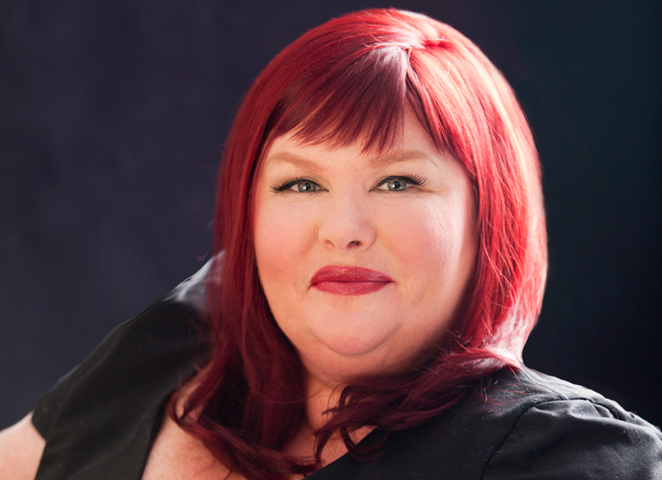 It’s titled “YA Author Cassandra Clare Reveals the Practical Magic Behind Her Bestselling ‘Shadowhunter’ Series” and fans who are budding authors get very useful writing advice. Furthermore, Cassie revealed how she approaches diversity in her books. Your world is so intricate. Tell me about your plotting process. How do you lay out your narratives? I’m an outliner. I know there are people who are plotters and people who are more pantsers, but I am definitely a plotter. I need to know what is going to happen in a story. So I generally start with what I call a “macro-plot,” in which I sort of take the story from Point A, where it begins, to the end, and try to lay out the significant moments. And I think pacing is a good way of looking at it, because I’m looking at the moments where the story turns. For me, there are basically five points where the story turns: You’ve got the beginning of the story. Then you’ve got the inciting incident, something that changes things for the character so that the story [takes off]. And that’ll be a realization or an event: a birth, a death, something that causes you to answer the question of, Why now?—Why are you telling this story now, from this point? And then you have your midpoint, where the story often reverses itself or changes and you learn new information. You usually have the low point of the story where things seem lost for your characters. And then you have your denouement. I try to plot those out, and that forms a spine on which everything else is built. Then I’ll do what I call a “micro-plot,” in which I actually plot out each chapter and what is happening in terms of the characters and the arcs and the events that are occurring in order to create a full story. Obviously those things will change. They’re not going to stay completely the same as I move through the story; some things will work, some things won’t work. But for me, it helps to have that as a guide. And I think that does help me keep these books, which are quite sprawling and involve a lot of characters, as tightly plotted as possible. Most of your books take place in the same universe, but you didn’t write the series in chronological order. How do you ensure consistency and continuity when you’re writing these novels that jump around in time? I know. I keep thinking, Why did I do that? But that’s me. I try to be disciplined in my outlining and whatnot, but sometimes it’s a case of “follow your bliss”—I do the stories that I’m the most excited about at the time. And it just happened that, when I was finishing up Mortal Instruments, the thing I was most excited about was doing a historical. I had this idea and I loved it, and I wanted to do it. So I jumped back in time and did The Infernal Devices, which is set in 1878. Then I jumped forward in time and did The Dark Artifices. And now I’m jumping back to 1903 and doing [a new series called] The Last Hours. It’s imperative for me that I have a bible. I think they often call it that in TV writing as well, where everything is noted down. You know, the genealogy of all the families, what things and how they work, the rules of magic. The location of all the major known places in the books. I refer back to that. If somebody ever stole it, I would be so doomed. The dialogue in your books feels so natural. Do you have any advice for crafting strong conversations? Listen to the way people actually talk. To an extent, all written dialogue is stylized where we take out the ums and the sort ofs and the minimizing language. And remember that there is a rhythm. That the back-and-forth of talking is rhythmic: Somebody gives information, somebody else reacts. You have to get that pattern down. I love writing dialogue. It’s one of my favorite things. When I was writing Infernal Devices, one thing that was helpful to me was sitting down and listening to audiobooks and plays written in the Victorian Era, so I could get the cadence of Victorian dialogue and the way that they talked. I did it as a sort of immersion thing. For about six months, I only read books, watched movies and listened to plays that were written in the specific time period my characters were operating in, so that I was sort of walking around thinking in that kind of language. You can read the rest of the interview over at Writer’s Digest. Are you a writer and what do you think of Cassie’s advice? wow yes I loved this! As a passionate but not particularly impressive writer, ive always been curious ab how Cassie goes about writing her books and what order she sets everything out and how she’s manages to keep everything together so well. So this was really cool!! I love her plotting. I think it’s an important element of writing that helps control your pacing and helps you figure out if things are happening organically. I always think of writing as having an external and internal storyline. The external storyline covers what happens to the characters. The internal storyline deals more with the emotional development of the characters. If you don’t plot, it can be hard to line up the internal and external arcs in a way that makes sense and doesn’t throw the pacing off. Ideally your characters experience something in the story but also grow or change as people.